Just less than 8 weeks later Bobby Brackins makes music news headlines again. And I thought this day would never come. Well it has, and I missed it by about a week (woops) but I couldn’t be happier to finally be listening to Bobby Brackins new hit “180” featuring Jeremih on my ipod. In my opinion it is right up there with Jeremih’s “Down On Me” featuring 50 cent. So catchy, so good, but with Bob’s unmistakeable voice and lyrics and Nic Nac’s one of a kind production. If you loved the tracks on his “LIVE GOOD 0.5” which he released back in December you’re sure to be floored by “180”. As he talked about in our interview, 180 is about the huge turn Brackins made after “143 featuring Ray-J” was released. As every song he produces seems to always be a radio hit, the attention he got after he released 143 definitely put him on a 180 spin. The days of walking around unrecognized are long over for Bobby Brackins. 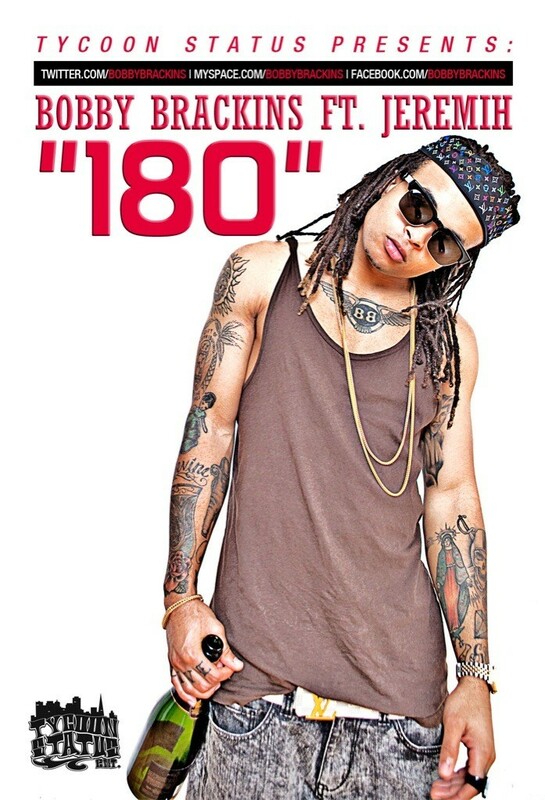 You can purchase Bobby Brackins “180 featuring Jeremih” on itunes now. I like this guy, good sound.